of varied colours and prints chosen by the schools stylist Ha! Who am I kidding - and in most cases this print is definitely tartan & lastly Black 'sensible' shoes Jackpot! 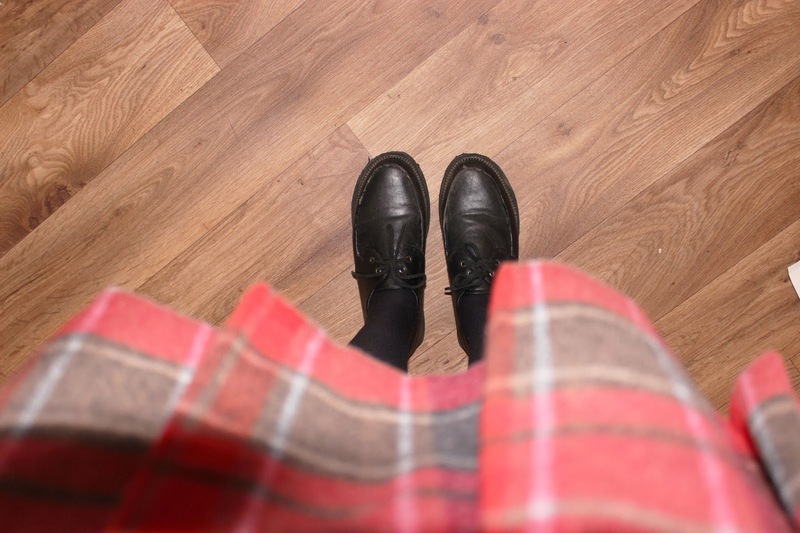 So this is essentially a post showing you my chic-efied school uniform. What do you think about about remeniscing in a sartorial form? Comment bellow on your thoughts and Have an amazing weekend you bunch of beauts! Really love the print on the skirt, so great right now! G O R G E O U S skirt!! Haha I've done the exact same! You hate it when you have to wear it and miss it when you don't! 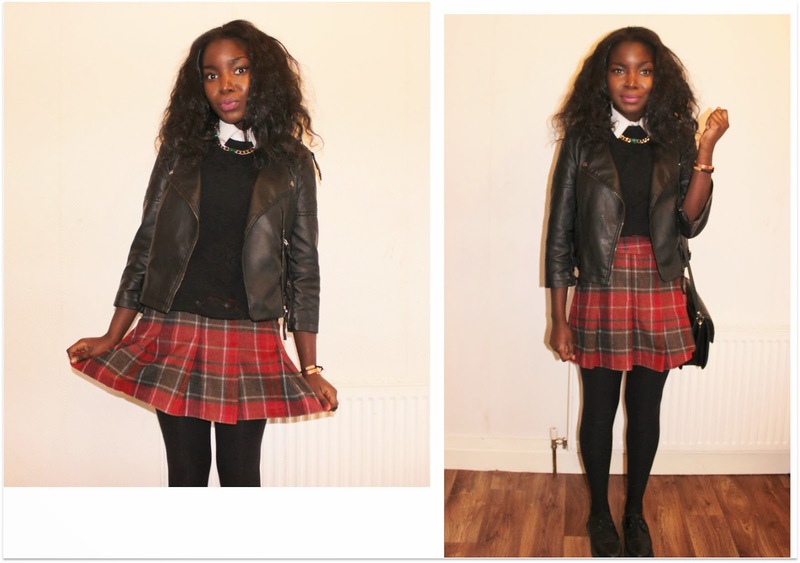 You look lovely lady :) I've been crushing on tartan prints for the last couple of months! Definitely a smart chic style sweet. This is such a cute look! 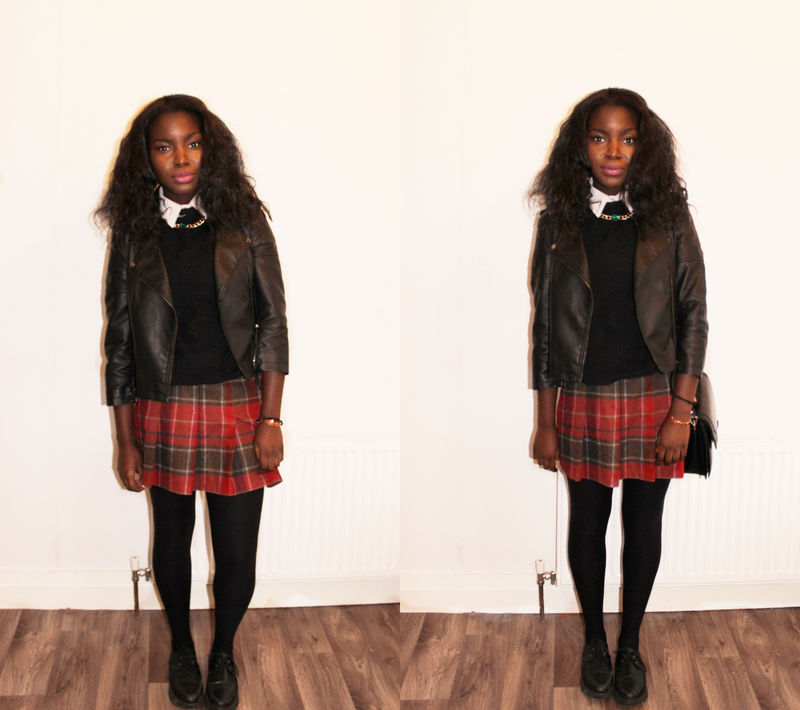 We have been loving tartan lately, so this outfit ticks all our boxes! Great post! Love the look and btw I really love your blog header, so cool! I love the skirt you look gorgeous! I agreee! I still like the idea of wearing a uniform even though it's been like 14 years without one! ugh so old haha! I absolutely love this look - even though I have to wear a uniform on a daily basis, I still end up wearing shirts and sweaters at the weekend!